submission for the pizza jam! 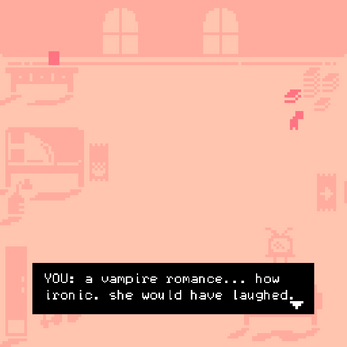 this game was technically inspired by two sequence names - 33/"Seduced By Taste of Blood" got me in the mood for vampires, but 47/"Dyed in Lovely Darkness" gave me the actual idea for the night/day swap mechanic. fyi: most characters have multiple lines of dialogue, so try talking more than once! controls: arrow keys. 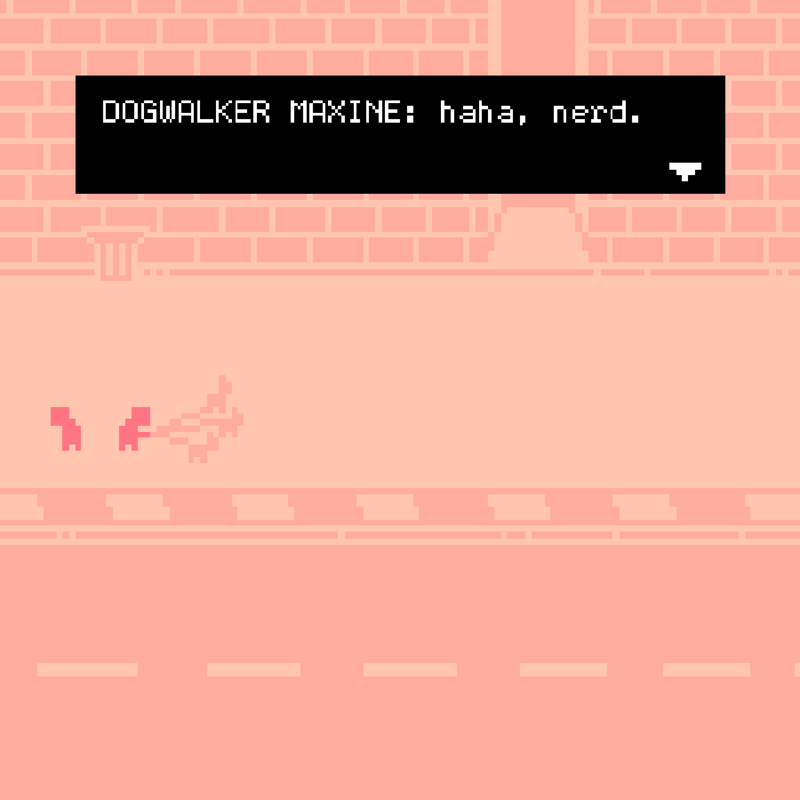 move into sprites to interact. 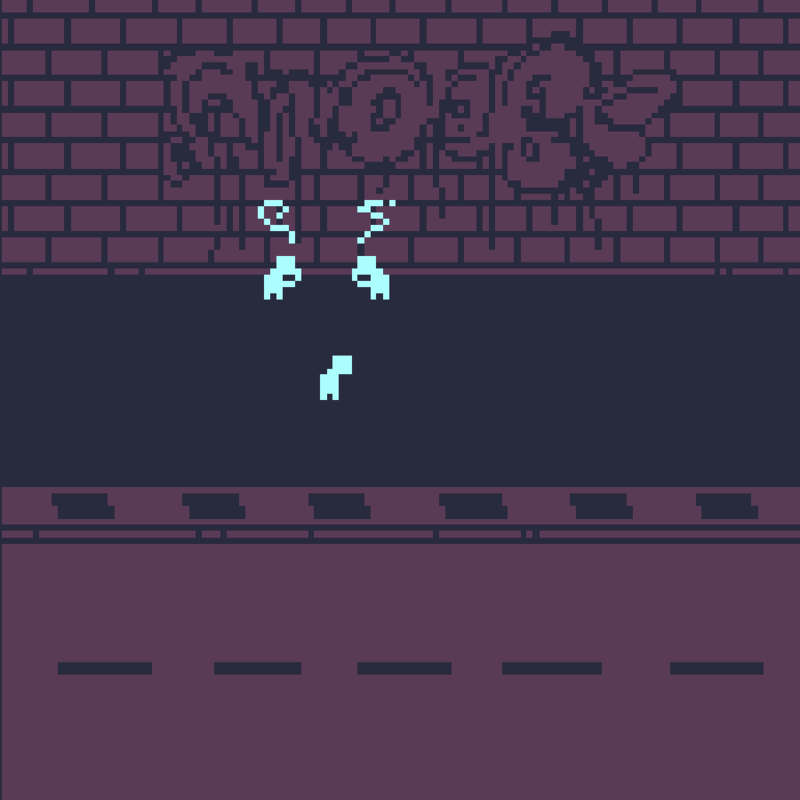 warnings: very simplified blood puddles, some swear words. bonus: take a peek at my process with this concept art. i made this at 3 am with a mouse, can you tell?